May 24, 2017 – A team of NASA scientists and international partners used data from the the high-precision science instrument CLASP — the Chromospheric Lyman-Alpha Spectro-Polarimeter — to provide the first-ever polarization measurements of ultraviolet light emitted from the sun’s outer atmosphere. Previous polarization measurements were restricted to visible light that is emitted from the sun’s surface. By looking at the sun with this new technique, heliophysicists — who study how our dynamic sun drives change in the very physics of space around Earth and other planets — now can answer fundamental questions about the sun’s chromosphere, an important layer of the outer atmosphere of our turbulent star. “We can’t directly image everything that’s going on in the solar atmosphere, but studying the polarization of ultraviolet light reveals the physics of the magnetic fields in the upper chromosphere and the transition region to better understand activity in this enigmatic region,” said Amy Winebarger, CLASP’s principal investigator at NASA’s Marshall Space Flight Center in Huntsville, Alabama. Her colleague David McKenzie, a fellow NASA heliophysicist, concurred. “Understanding the role of the magnetic field is vital to predicting powerful solar activity and protecting space and Earth technology from potential damage,” he said. Papers describing the findings appears in the April 2017 issue of The Astrophysical Journal Letters and the May 2017 issue of The Astrophysical Journal. The CLASP instrument measures ultraviolet light from the sun which cannot penetrate Earth’s atmosphere. To make this measurement, this instrument was flown aboard a sounding rocket on a five-minute flight above Earth’s atmosphere on September 3, 2015. Thanks to CLASP’s success, a second international team — with McKenzie as principal investigator — is now planning to launch CLASP 2 via sounding rocket in 2019. This second flight of CLASP will provide further insights into the processes by which energy emerges through the sun’s corona and pushes outward as solar wind. The mission measured ultraviolet light — specifically, the Lyman-alpha emission line — produced by hydrogen atoms present in the chromosphere, a layer of the sun’s atmosphere. Winebarger explained that the polarization of this light, or its restriction to one direction, can be correlated to the intensity and direction of the magnetic field. “The CLASP observations have unlocked a new method of determining the magnetic field strength in this region — by measuring the polarization of this specific spectral line which is extremely sensitive to magnetic fields in the chromosphere,” Winebarger said. Understanding the properties of the sun’s magnetic field is of crucial value to researchers. McKenzie, who is the principal investigator for CLASP 2 noted that the magnetic field plays a vital role in dictating the structure of the sun’s atmosphere, and acts as a conduit for mass and energy to flow into the solar corona and solar wind. Solar material can also reach Earth from powerful eruptions on the sun, such as solar flares or coronal mass ejections, which at their worst can disrupt satellites and interfere with radio communications. As a result, knowledge of how the sun releases these bursts of energy is critical to our understanding of the sun’s impact on these important technological systems. Launched via Black Brant IX suborbital sounding rocket from White Sands Missile Range in New Mexico, CLASP had a mere five-minute window in which to study the sun, 93 million miles distant, and return imagery with minimal noise — or the disruption of image pixels — and a level of precision of less than 0.1 percent. “CLASP definitely made good on the promise of its mission,” McKenzie said. It even revealed a series of unexpected supersonic events, possibly some type of previously unseen magnetohydrodynamic wave, occurring all over the sun’s surface. The CLASP project was based on pioneering theoretical research proposed in 2007 by Javier Trujillo-Bueno of the Instituto de Astrofísica de Canarias in Santa Cruz de Tenerife, Spain. The optical instrument was designed and built by a team from the National Astronomical Observatory of Japan and the Japan Aerospace Exploration Agency, and included precision optical components provided by France’s Institut d’Astrophysique Spatiale. The launch was supported through NASA’s Sounding Rocket Program at NASA’s Wallops Flight Facility on Wallops Island, Virginia, which is managed by NASA’s Goddard Space Flight Center in Greenbelt, Maryland. NASA’s Heliophysics Division manages the sounding-rocket program. The CLASP 2 team includes NASA, the National Astronomical Observatory of Japan, the Japan Aerospace Exploration Agency, Instituto de Astrofísica de Canarias, Institut d’Astrophysique Spatiale, Istituto Ricerche Solari Locarno, the Astronomical Institute of the Czech Academy of Sciences, Lockheed Martin Solar and Astrophysics Laboratory, the High Altitude Observatory, the University of Oslo and Stockholm University. The NASA Marshall team are no strangers to solar work. 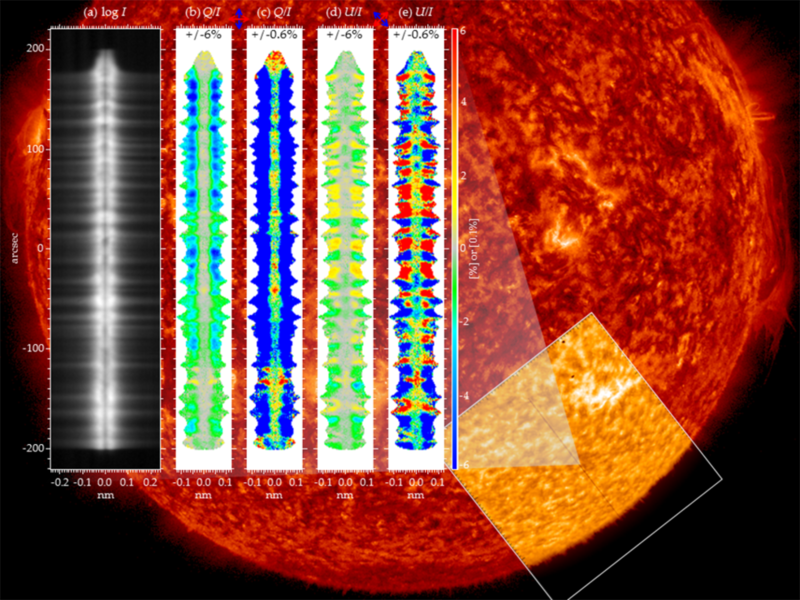 They developed two previous sounding-rocket solar experiments: the High Resolution Coronal Imager, or Hi-C, which launched in 2012, and the Solar Ultraviolet Magnetograph Instrument, or SUMI, which completed its second research flight in 2012. They also continue to contribute to Hinode, the joint Japanese-American mission launched in 2006 to study the sun.